Home to eighty thousand people, Accra’s Old Fadama neighborhood is the largest illegal slum in Ghana. Though almost all its inhabitants are Ghanaian born, their status as illegal “squatters” means that they live a precarious existence, marginalized within Ghanaian society and denied many of the rights to which they are entitled as citizens. The case of Old Fadama is far from unique. Across Africa, more than half the population now lives in cities, and a lack of affordable housing means that growing numbers live in similar illegal slum communities, often in appalling conditions. Drawing on rich, ethnographic fieldwork, the book takes as its point of departure the narratives that emerge from the everyday lives and struggles of these people, using the perspective offered by Old Fadama as a means of identifying wider trends and dynamics across African slums. Central to Stacey’s argument is the idea that such slums possess their own structures of governance, grounded in processes of negotiation between slum residents and external actors. 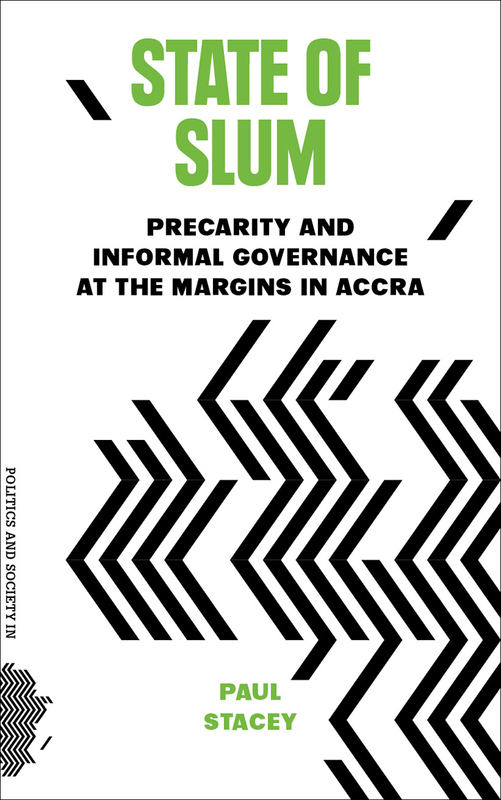 In the process, Stacey transforms our understanding not only of slums, but of governance itself, moving us beyond prevailing state-centric approaches to consider how even a society’s most marginal members can play a key role in shaping and contesting state power.